Much like Instagram, many B2B businesses believe that Pinterest caters more to B2C companies. 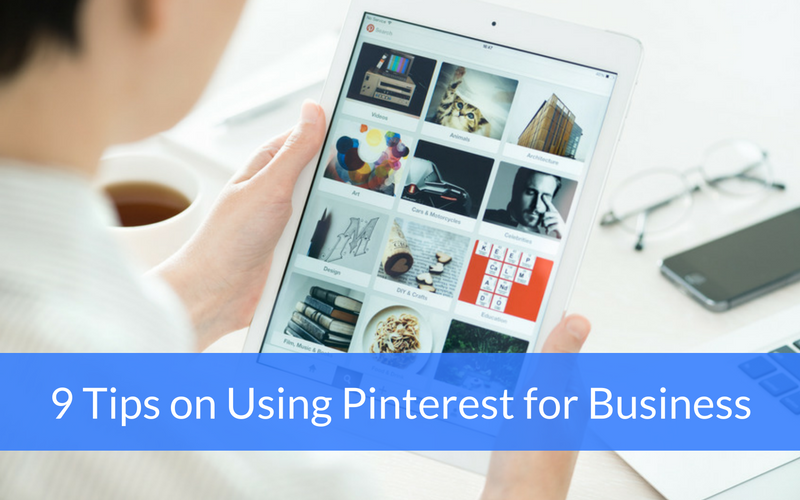 However, if you know how to set up your profile and what types of things to “pin,” you’ll soon realize the value Pinterest has to offer your B2B business. Here are a few interesting Pinterest stats and some tips to help you start using Pinterest for business. Here are some Pinterest stats that underline why this social media site is a platform worth considering. Now that you know why Pinterest is so powerful, here are a few tips to help you get started on the platform. Just like you would for a blog post, it’s important that you use keywords when crafting your username and bio. For example, our Pinterest page used to just say xoombi, but we changed it to xoombi Inbound Marketing in order to appear in search results for “inbound marketing” on the site. You’ll also want to include relevant keywords in your bio and in the descriptions of your boards and pins. Remember, the whole point of you creating this page—apart from building brand awareness and generating traffic to your website—is to add value to your target audience. Therefore, create boards that you know that audience will be interested in. What are popular topics in your industry? What are the frequently asked questions and common pain points of your prospects? Create boards about topics that you know your audience will want to explore. Pinterest is all about the visual. Therefore, it’s incredibly important you create attractive covers for your boards and that the content you’re pinning from your own site includes appealing, on-brand images. One of the best ways to generate your own following is to follow others. Find and follow relevant thought leaders, interesting companies, and individual pinners who share great content pertaining to your industry. Interact with other users by liking their pins, repinning content that you think would fit well on one of your boards, and commenting on interesting pins. Engaging in this way will entice more people to check out your own profile. Along with others’ content, you’ll also want to pin your own content to relevant boards. You might want to create a board dedicated to your blog and pin new posts as they’re published, or start a board where you can pin all of your existing eBooks, tip sheets, and other gated assets. Think someone’s group board is awesome? Ask to join it! By joining others’ group boards, and asking others to join your own, you’ll create your own Pinterest community and increase your audience on the site. Hover over the image in this post. See the little red Pinterest button that appears? This allows users to pin the image—and a link to the post—directly to one of their boards. This makes it easy for your audience to pin your content and share it with their own audience! Promoted Pins are Pinterest’s paid advertising service. It allows you to pay to show certain pins at the top of search results and category feeds. Pinterest tested this service out for nearly a year with their beta program and found that Promoted Pins performed just as well, and sometimes better than, organic pins. Users saw a 30% increase in earned media during the campaigns and an additional 5% after its conclusion. What other tips would you give businesses just starting out on Pinterest? Leave them in the comments.